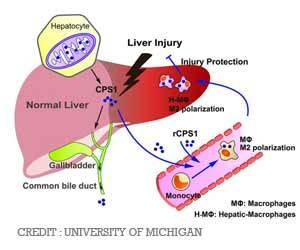 CPS1 protein involved in one of the liver's most basic functions was also found to alarm when liver cells get hurt, stated a team from the University of Michigan. The findings of the study are published in the Proceedings of the National Academy of Sciences. But when something comes along that badly injures enough of those cells - such as a liver-damaging overdose of pain medicine - this vital work can come to a screeching halt. Now, new research points to a potential way to prevent that damage, but more importantly even treat it -- as well as a possible way to better monitor the health of patients who have suffered from it. Working with a team of U-M colleagues from many fields, Omary and former postdoctoral fellow Min-Jung Park, Ph.D., discovered an unexpected function for the enzyme CPS1, short for carbamoyl phosphate synthetase-1. Normally, CPS1 plays a key role in breaking down ammonia, a waste product the body needs to get rid of. It does this in the mitochondria of the major cells of the liver, called hepatocytes. A few years ago, Omary and his team discovered CPS1 in an unexpected place: the blood of animals and humans with acute liver injury. 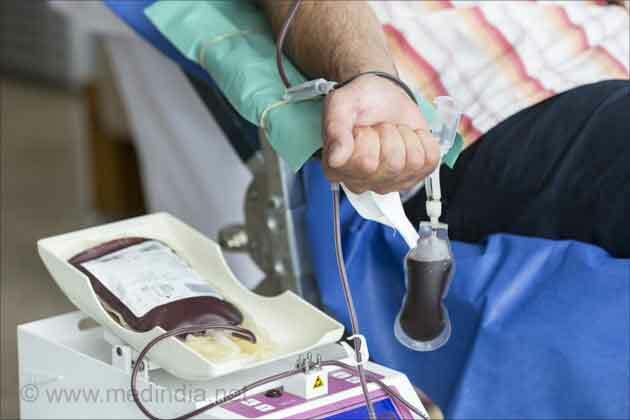 They showed that the amount of CPS1 in the blood served as an indicator of the extent of the damage - but also found that it left the blood quickly. That made it a potential early marker for recovery from liver injury. "CPS1 that is cleared from blood reprograms monocytes to become anti-inflammatory and move to the liver," says Omary, a professor in the Department of Molecular & Integrative Physiology and the Division of Gastroenterology and Hepatology at the U-M Medical School. "This cytokine-like function, which is entirely unrelated to its usual enzymatic function, provides a mechanism for the protective effect we observed. It's very exciting since it offers a potential pathway to develop new treatments." The researchers gave this exogenous CPS1 to mice before they exposed them to levels of acetaminophen - the same common over-the-counter medication that millions of people take, and that holds the potential to damage the liver in high enough doses and in combination with other substances. Even when the mice received doses high enough to cause acute injury, those that received added CPS1 beforehand did not suffer major liver damage. When the researchers injected CPS1 into mice after they received the high dose of acetaminophen, the animals' livers showed significant signs of recovery. "The amount of CPS1 released to blood naturally is not sufficient to cope with injury, which is why the boost becomes very helpful," says Park. "In contrast, if too much is spilled to blood by the liver, then this means too many liver cells have died to have a chance to recover." Hepatotoxicity is damage to the liver due to chemical, environmental, bacterial, and viral infections. Hepatitis or cholestasis or both may occur. 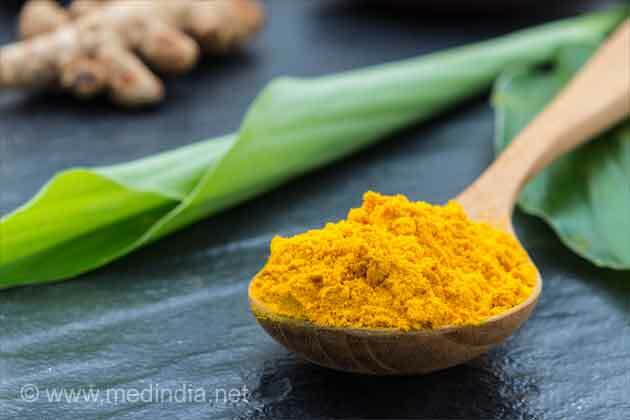 Athletes Foot Hepatitis A Liver Wilson's Disease Milk Thistle Current Treatments for Liver Cancer Fatty Liver Disease: A Growing Health Problem in India Living Donor Liver Transplant: What Are the Risks?